The 2018-19 season opens in November with the classic musical The Music Man. 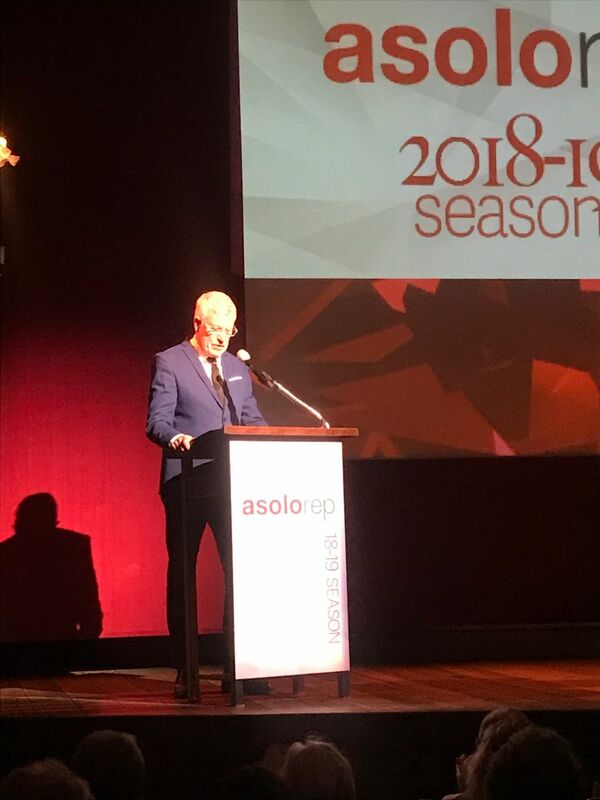 Producing artistic director Michael Donald Edwards announces the 2018-19 Asolo Rep season. While there’s still a lot to come in Asolo Rep’s 2017-28 season (running through June), it was time Monday afternoon for the company’s producing artistic director, Michael Donald Edwards, to announce the theater’s line-up for 2018-19 to a crowd of about 400 assembled at the Mertz Theatre. He was joined by FSU/Asolo Conservatory artistic director Greg Leaming, who also announced the coming season for the Conservatory, along with the two shows taking the stage this summer for Dog Days Theatre. But first, the shows filling the Asolo Rep’s 60th anniversary season. 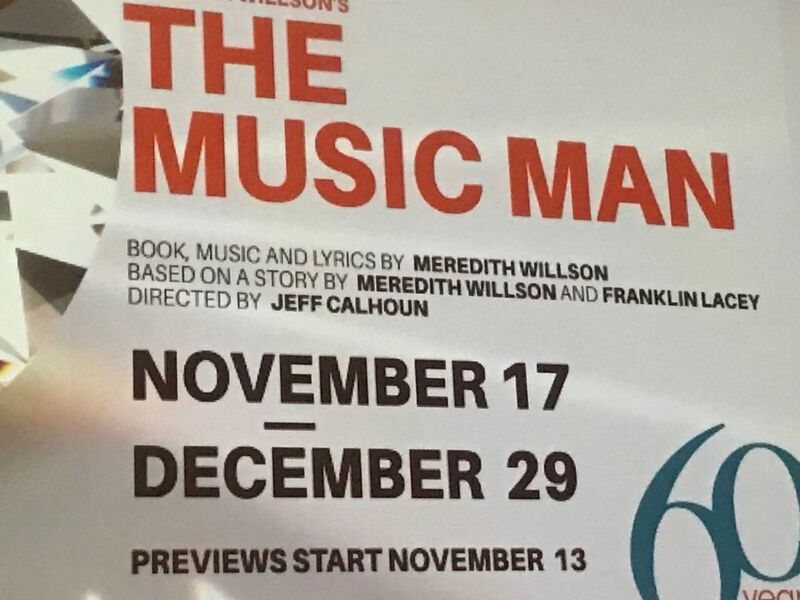 The Music Man opens the season starting in November. Lucas Hnath’s A Doll’s House, Part 2 (Jan. 18 through March 31), which recently starred Laurie Metcalf on Broadway, will fill the next slot in the rep, as Hnath hilariously imagines what happened to Ibsen’s heroine Nora Helmer 15 years after she left her husband at the end of the original A Doll’s House. “It raises fascinating questions about how the roles of women have and have not changed,” said Edwards. Next up: just for laughs, Michael Frayn’s farce taking place onstage and backstage as a theater company struggles to put on a show, Noises Off (March 22 through April 20). Edwards promised “an uproarious good time” with this one. A new play by Bekah Brunstetter (a writer and producer on the hit TV drama This Is Us) called The Cake (April 5-28 in the Cook Theatre) introduces us to a woman planning her wedding who wants her deceased mother’s friend to bake the cake. One problem: The baker is shocked to learn the wedding will feature two brides. "I think you’re ready for it, “Edwards teased his audience. In the recent tradition of presenting a spring musical, Asolo Rep will present its first ever full-on Sondheim musical with Sweeney Todd: The Demon Barber of Fleet Street (May 4-26). The tale of the wronged and vengeful barber will be directed by Peter Rothstein, who’s also helming this season’s re-imagined Ragtime. Closing the mainstage season will be a family-friendly show, an adaptation of Jules Verne’s Around the World in 80 Days (June 7-23) from the same team that brought us Hetty Feather back in 2016. Eight actors play 109 characters in the story of Phileas Fogg and his adventurous journey around the planet. Asolo Rep will once again present its annual fall educational tour with a 45-minute version of Shakespeare’s last play, The Tempest, Sept. 25 through Nov. 19 in various schools and community venues. The FSU/Asolo Conservatory season will also once again bring us Shakespeare, with a production of As You Like It (April 10-27) at Selby Gardens. But prior to that, the season kicks off with Tom Stoppard’s Arcadia (Oct. 31 through Nov. 18), about a young genius and her private tutor caught between two centuries, followed by Ibsen’s classic Ghosts (Jan. 2-20) and the Craig Lucas play Reckless (Feb. 20 through March 10) described as a “Fellini-fueled nightmare” and a terrifying comedy of shifting identities. But you don’t have to wait until the fall to head to the Cook Theatre. Joe Orton’s farcical What the Butler Saw, set in a private mental health clinic, opens Dog Days Theatre’s season with performances July 12-29, and Henry James’ chiller The Turn of the Screw (adapted by Jeffrey Hatcher) brings us a young 19th-century governess faced with ghosts—and her own mental frailties. That’s onstage Aug. 9-26. Season subscriptions for the 2018-19 season are on sale now at the Asolo Rep box office, by calling 351-8000 or online at asolorep.org.